What can you buyer for under $200,000? I specialize in homes under $300,000. The value of looking at entry level homes is as you go further and further down in price, the value of the home gets closer and closer to value of the vacant land. By the time you get to homes priced below $200,000 you see almost every home is beyond repair and needs to be removed. From this price point you can determined the value of the land only. 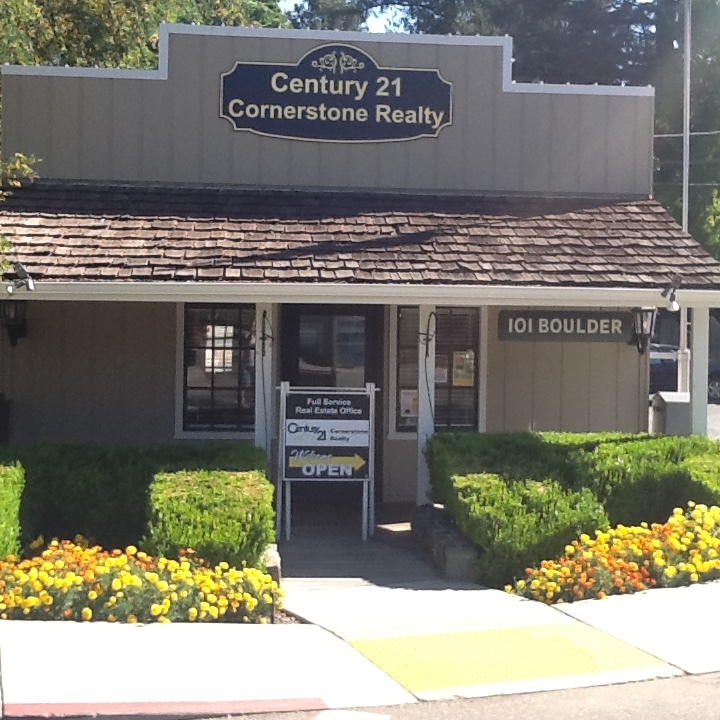 I attached a link to this blog that takes you to a spreadsheet that has every home sold or listed for sale in Nevada County this year that is or was priced under $200,000. Have a look. The two homes marked in yellow were in good enough condition to qualify for conventional financing. The seven marked in pink would qualify for a government backed rehabilitation financing. If the borrower met the qualifications for a loan, the government would loan enough money to buy the home and fix it up to make it move-in ready. Such loans have a $30,000 cap on rehabilitation funds. The seven homes in pink are not in good enough condition to pass an inspection by an appraiser, but for less than $30,000 in repairs and fixes the homes could be made livable. The other 21 homes on the list are “land value only.” Everyone of the other 21 homes is so far gone that the home needs to torn down. In some cases not even the septic system has survived the ravages of time and abuse these properties have suffered. In other cases, the homes have failed roofs, failed siding, or have walls, doors, and windows missing. In some cases, there is no home, just a trailer, yurt, or shack. My blog features entry level homes, fixers, and rural properties. Sign up and get regular email updates of listings I am profiling, or give me a call, let me know what you are looking for and I will set up a unique search for you and your needs. Author gordonPosted on September 14, 2017 Categories Market CommentaryLeave a comment on What can you buyer for under $200,000? Found this interesting graphic. An average price per square foot is not an indication of the value of any one home. Homes vary greatly in their individual pricing. But, on average, if we assume that in the market place over all, month over month and year over year, there are about the same number of homes of all kinds sold in any given month, then the average price per square foot, averaged over the entire market, gives and idea of the trending prices. As the price goes up or down, consumer sentiment about the value of homes rises and falls proportionally. If the general rise in the price per square foot is up on average 2% over the course of a quarter, then any given home is probably worth about 2% over the same time period. So, take a look at this graph and you will something quite interesting, and perhaps unexpected if you do not follow home prices closely. In the late summer of last year home prices slowly rose till they reached their highest level of the year in September. Then the market suddenly declined in October, and remained stuck in that range until May of this year when prices suddenly broke out of the range with a sudden leap higher. In July of this year prices backed off a little. August number are not in yet, but the indications is we have seen the high water mark for the year and prices will decline back into the range that was establish last year or the rest of this year. Call me if you want to understand more about this! Click on the button, and it will link to a download of Excel spreadsheet with seven properties located around the geographic are that have or had homes that had such sever structural damage the best use would be tear the home down and repurpose the land and remaining improvements for a new home. When a home cannot be renovated and must be torn down and it is located in a neighborhood that is already completely built out it gives a rare glimpse into the value of the undeveloped property. In neighborhoods where new homes are rare, knowing what the price a spec builder or developer will pay for the land gives a window in to the what that developer expects the value of homes in that neighborhood will be when they finish their project in the coming year. If you are thinking of buying a fixer or a home that needs major structural renovation, and there are no other vacant lots to for a comparative price analysis, this spreadsheet gives you a way of looking at land values that spans a wide range of geographic locations and neighborhoods. The answer to the question that every investor needs to know is what is the value of the lot? This gives you a chance to see that buyers are paying for lots and land. Loan companies and banks, the ones who lend the money, look at three things to determine who they will lend money to and under what terms. 1) They look at your income. They determine your income by looking at your tax returns. If you have income that is not reported on your tax returns, then that money is “not counted” by the lenders. Lenders don’t report you to the IRS and they don’t care if you pay taxes or not, what they care about is the “documentation” of your income, because the people who lend the money, the actual investors who provide the funds that you use to purchase your home, want assurance, or a least a high degree of confidence, that the person borrowing the money will be able to pay it back, and the way they make that determination is based on your tax returns for the last two years. They want to see exactly how much money you made and who you worked for, and what sorts of revenue streams you have coming in, and they use that information to determine how likely you are to be able to pay back the mortgage amount, month after month for the for as long as you might own the house. If you get paid “under the table” even if you put the money in your bank account, it makes no difference to the lender, they don’t count it as income unless it shows up on your tax return. If you run a home business and you get paid in cash, you are still expected to file a tax return showing how much money you earn from one quarter to the next. How much you pay in taxes is not what the lenders care about, they look at the total earnings, not how much you pay in taxes to determine how much they will lend you. 2) The second thing lenders look at is your overall money in the bank and how it got there. Lenders want to know how much money you have and where the money you have in the bank came from. If you have been saving it, then lenders want to see the deposit slips showing that you made regular deposits into your account that added up to the amount of the down payment. Let’s say your down payment is 3.5% of the purchase price, and you are buying a $200,000 home. Then your down payment would be about $7000. Lenders want to know, how did you get the $7000 you are using as your down payment. If you saved it up over the course of a year or two years, they want to see deposit slips from your bank showing that made deposits once every two weeks or every month reflecting savings from your income. If you got the money from some other source, like a family member, or even from the sale of a car or some personal property, then they want to see the receipts showing when you received the money and how much of it you put in the bank. What the lender wants to know, is, of course, that you acquired the money legally, and don’t owe the IRS money. Also, the lender wants to make sure that where ever you got the money, from a friend or family member, that person does not have some sort of extra-legal relationship with you. For example, if you borrowed the money for a down payment from a family member and the family member expects you to pay them back, then of course, you would be expected to pay them back in addition to the loan payment, and that might be more than you can afford, and the lenders know, family always get paid back first. If things get difficult, you will stop paying the bank before you stop paying back a family member, and for that reason, your lender will not allow you get the down payment from family members unless it is certified by that family member to be a “gift” which means you are not expected to ever pay it back. The lender will seek documentation to prove exactly how you came about having the money for you down payment. 3) The lender will look at your credit score. A credit score is a compilation of all the things you do that don’t involve cash transactions. It includes you credit cards and car loans, any other loans you might have, and how much money you earn and spend every month that can be tracked from debit cards to lease information regarding any items you pay off over time. It can even include your PGE bill or telephone records. If there have been late payments or delinquencies, or a financial judgment against you from a court and that is on your record, the credit service has that information and they use that information to come up with a “credit score” which is just a number that tells the lender how well you have done in the past in paying off any debts you might have incurred, as well as keeping a record of any debts you might being paying off in addition to the new debt you are applying for with loan. The lender looks at all three of these measures of your credit worthiness before they make the decision to lend or not lend you the money. I have a lender that could assist you in navigating this terrain. She is very helpful and can guide you to the right decision regarding ways to improve your credit worthiness. Her name is Schan Delle Nettles and her phone number is 530 271-3748. Give her a call, mention my name. She will help you out. I made a 35 minute video addressing the market conditions and trends for homes priced between $500,000 and $650,000. There is no graphics, just me presenting the details about the market in a organized presentation using my notes and data from comparable sales. It is a bit long, so you need to watch it from your computer. It should work on a phone or tablet, but it might be annoying to watch on a small screen. You can also just listen to the audio, as the actual video is just me in my office, talking, and looking back and forth at a pile of note papers. The information is helpful baseline data for the decision about the list price and strategic market considerations for a half million dollar home in the 3rd quarter of 2017. If you want to know where the market will be at Thanksgiving, repeat the same data search when we get to the end of September and see what the trend lines and emerging prices have to say about the coming market for 2018. Have a look at the video, if you have specific questions, of course, send them along. I can unpack the information in greater detail and that might be a good thing to do in another video, but for right now, this establishes a baseline for where the market is at. What does the comparable sales data say about the market? In real estate, comparable sales data is the holy grail of broker information about the value of homes and land. The near terms record of escrows closed on homes similar to your home tells buyers they should expect to pay a similar price for your home. When real estate professionals add up all the sales of similar homes over the last 30 days and find the average price, as well as the full range from the highest to the lowest price buyers have paid, as long as there enough sales data to make a reasonable sample size, its a pretty good bet that your home will sell somewhere within that range. By comparing your home to the average and adding or subtracting dollars for the replacement cost or upgrades that constitute the differences between your home and the average home, you can come up with the likely price and buyer will offer for your home. I am not being facetious here. That’s really how it is done. Lots of homes, everyone a little different, but in truth, homes have a lot more in common than there are differences. Appliances, floor covers, even paint and carpet are all relatively small costs when compared to the total price of the home. Consider this, every home has a kitchen. The only difference between an expensive home’s kitchen and less expensive home’s kitchen is the cost it would require to make the less expensive home have the same kitchen as the more expensive home. Same goes for bathrooms, fixtures, and every other thing that is built or developed on a piece of property. Homes are made of sticks and bricks, and every house is valued based on what a buyer would pay for your home or a reasonable replacement. If a reasonable replacement for your home offered at lower price by another seller, then buyer will purchase that home or make a lower offer on your home to match what they think is the fair price. So here is a secret hardly anyone knows. Homes sell at the lowest price any seller will accept for a home that is reasonable replacement for any home in the same general class and condition. Sellers control the price of homes, not by adding up the value of the features and amenities of their home, but by competing with each other for buyers and cutting their price low enough to cause a buyer to make an offer on their home and not some other home that would otherwise be an acceptable substitute. The reason sellers cannot collude to inflate prices is there are simply too many of them. The result is a fair market evolves where prices float to the natural level of the lowest price any seller will accept based on a free market conditions where buyers can shop and compare. Real estate is not rigged. If somebody is willing to sell their home for less than you want for your home, their home will sell and not yours. When you decide to lower your price so that every other similar home listed for sale is a little more expensive then your home, then your home is the one that sells first. Home prices rise and fall based on the supply and demand of the available homes. The condition of the home is only an important determinant of price in relationship to the expectations of buyers with regard to the condition of all the other homes they are looking at in the same general price range. Author gordonPosted on August 11, 2017 August 22, 2017 Categories Market CommentaryLeave a comment on What does the comparable sales data say about the market?